Initial reaction? It looks right – not as chunky as a Schmidt, not long and slim like the new Nightforce, just right in fact – like the March and the new SV 10-50 Sightron. 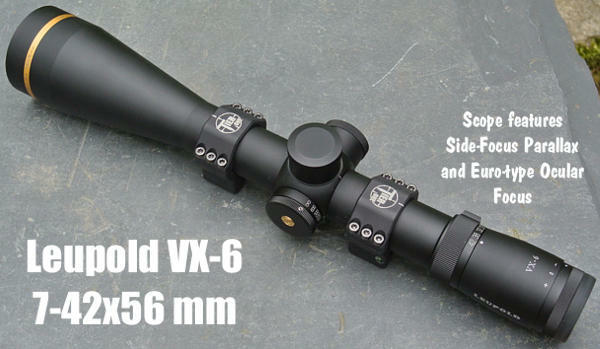 In line with the new breed of high-end optics, it sports a 34mm body-tube but, weight-wise it’s bang on the money at 26.5 oz – the same as my 8-32 Sightron and lighter than the 28 oz. Nightforce Competition 15-55. Are odd ounces that important? Yes they are – to weight-conscious F-TR shooters, who may be attracted by this scope as an alternative to the March 10-60X – which is even lighter at a tad under 25 ounces. Putting together an effective F-TR gun is all about making compromises – pick a 10-60 March over the 15-55 Nightforce and you can add an inch to your barrel! With just 55 MOA of elevation adjustment, the VX-6 isn’t over-generous but of course, tapered scope-rails are now readily available for most rifles if you need more MOA. Windage is adequate at 45 MOA. In conclusion, this is a very fine long-range target scope, which should definitely appeal to serious F-Class shooters and must be considered alongside the 10-60 March and 15-55 Nightforce Competition scopes. Also, the Leupold lifetime ‘no quibble’ guarantee is the best in the business – if you can’t make up your mind, this could be the deal-maker. *Actually, the true click values are closer to 1/8 inch and 1/4 inch (rather than 1/8 MOA and 1/4 MOA). To calibrate the true click values, Vince took a baseline shot then wound on 20 MOA “up” vertical. His second shot impacted 19.875″ higher. One MOA is 1.047 inches, so 20 MOA should have measured 20.94″ inches. So his 20 MOA was off by about 1 inch, or 5%. This variance is not unusual, and it demonstrates why you should always verify your true scope values before shooting a match. Share the post "Leupold VX-6 7-42x56mm Scope Test by Target Shooter UK"
You can quickly access loads for Alliant powders via Alliant’s Online Reloader’s Guide. There you’ll find hundreds of recipes for rifle loads, pistol loads, and shotshell loads. While it’s handy to use the Alliant website when you have a live connection, you can also download the Alliant Reloaders’ Guide in PDF format for off-line viewing. That way you can archive the Guide on your computer, or keep the file on a mobile device for use in the field or workshop. CLICK HERE to DOWNLOAD ALLIANT RELOADER’S GUIDE (PDF format). Alliant’s 116-page PDF Reloader’s Guide includes recipes for shotgun, pistol, and rifle. This guide includes important safety instructions, plus reloading data for most popular cartridges. The guide includes Alliant’s new Reloder 23, 26 and Power Pro powders. Most of the listed rifle loads are for Speer bullets, but there are also loads with Barnes, Berger, Hornady, Nosler and Sierra bullets. 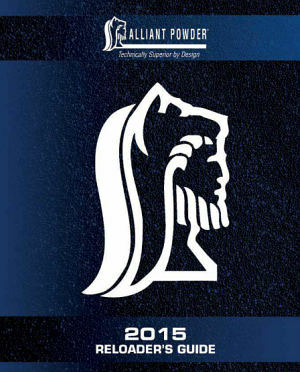 You can also get a FREE PRINT VERSION of the 2015 Alliant Powder Reloader’s Guide. Just CLICK HERE and fill out your name and address. Allow 3-4 weeks for delivery. 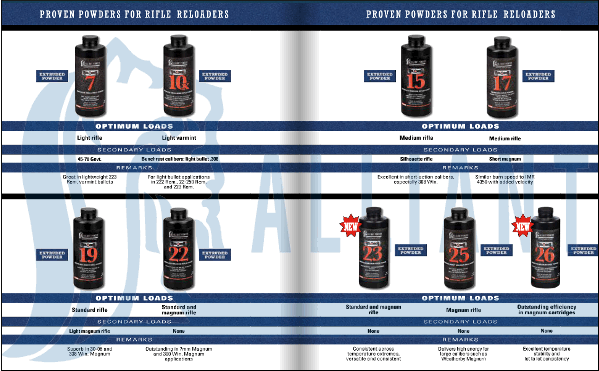 Share the post "Download Free 2015 Alliant Powders Reloading Guide"